About Us – Sardes Candle Boutique – Şık Tasarımı, Işığı ve Kokusu İle Sizleri Adeta Büyüleyecektir. The whole range consists of the hand-made products. They not only guarantee the customer satisfaction but they are also in accordance with the quality standards having excellent fragrancy and innovative designs. Make Sardes brand be known in all national and international platforms. 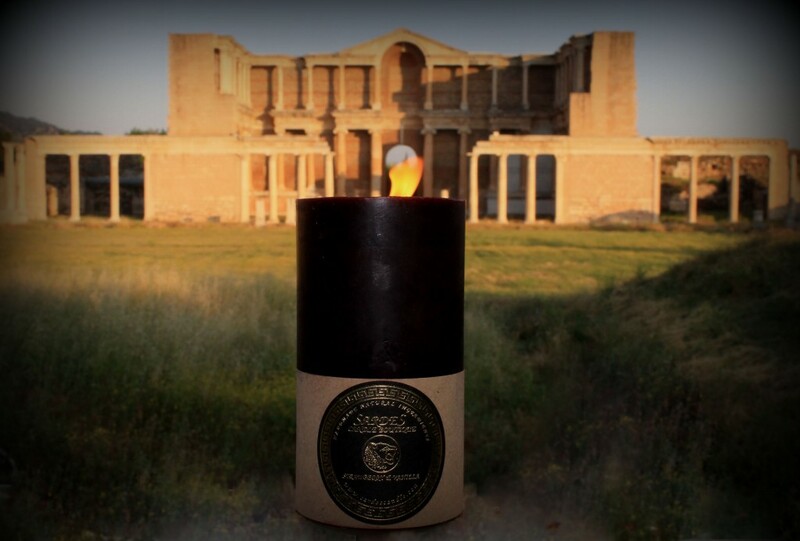 The name of Sardes Candle is inspired from the ancient city Sardes in history. Sardes is an ancient city which was the capital of the ancient kingdom of Lydia. The first coin was invented and issued here. The beginning of the Royal Road was here. The stream Pactolus, which flowed through the market-place “carried golden sands” in early antiquity, which was in reality gold dust out of Mount Tmolus, is here. Roman Bath, which is presently called as Gymnasium , is here. Temple of Artemis is here. It was built in BC 300’s and is one of the most charming an attractive temple of Archaic Age. The owner of the expression “As rich as Croeseus”, King Croeseus, the last king of Lydia, lived here. Sardes got to the top during the Kingdom of Lydia and then it was ruled by Persians, Alexander the Great, the Kingdom of Selevkos, the Kingdom of Bergama and Ottoman Empire.